Last week saw the QNX Japan team at the 14th ESEC or Embedded Systems Expo in Tokyo. 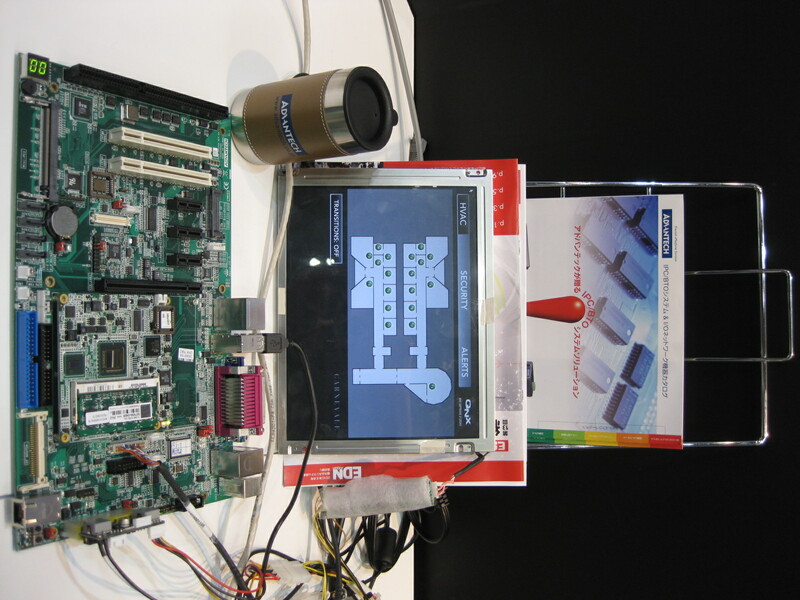 Our team partnered with Advantech to demonstrate the QNX Neutrino RTOS fastboot IPL running on an Advantech SOM-6760. This Intel Atom based module also is equipped with a sample building control HMI application. I recently attended the Intel Embedded Communications Alliance (ECA) Executive Summit where QNX was honored with the “Award of Excellence, Most Innovative Software for the Intel® Atom™ Processor”. This was an acknowledgement of our ultra fastboot solution that eliminates the need for a BIOS which improves boot times and reduces system costs for x86-based embedded systems. This technology results in new instant-on performance for designs in the industrial, mobile, medical, and consumer markets. To learn more about the award, you can read our press release at http://www.qnx.com/news/pr_3185_1.html. In keeping with the innovation theme, QNX is holding a first-of-its-kind training event called Fastboot Camp where we’ll be educating hardware vendors on the technique for implementing fastboot on their Intel Atom COTS and custom boards and systems. The class starts on Monday December, 8th, here in our Ottawa headquarters. Some of the participants include Advantech, Lippert Embedded Computers and Concurrent Technologies PLC. If you’re interested in finding out more about the course, you can read it about it on our website, http://www.qnx.com/support/training/special.html. Contact us if you’re interested in attending this class or a similar one in the future. Customers interested in evaluating fastboot solutions today may request the nanoETXexpress evaluation module from Kontron.